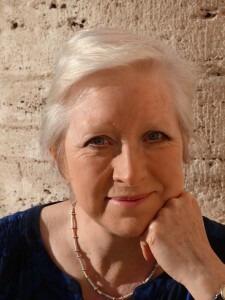 Susan Tomes has won numerous international awards as a pianist, both on the concert platform and in the recording studio, including the 2013 Cobbett Medal for distinguished service to chamber music. She grew up in Edinburgh and was the first woman to take a degree in music at King’s College, Cambridge. Her career encompasses solo, duo and chamber playing; she has been at the heart of the internationally admired ensembles Domus, the Gaudier Ensemble, and the Florestan Trio, winners of a Royal Philharmonic Society Award. She has made over fifty CDs, many of which have become benchmark recordings. In addition to her performing career, Susan gives masterclasses, serves on competition juries across Europe and is on the faculty of the European Chamber Music Academy and of ChamberStudio in London. Her lecture-recitals – most recently on Beethoven, Schubert and Schumann piano works – enable her audiences to engage with the great classics on a new level. She has gained recognition as a cultural commentator and has been a guest on the flagship BBC radio programmes ‘Woman’s Hour’, ‘Today’, and ‘Front Row’. Susan is the author of four acclaimed books about performance: Beyond the Notes (2004), A Musician’s Alphabet (2006), Out of Silence (2010), and Sleeping in Temples (2014). The books are studied on many ‘performance practice’ courses around the English-speaking world. 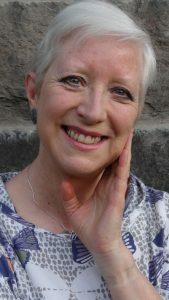 Her fifth book, Speaking the Piano (recollections of learning and teaching) was published in June 2018 and earned a five-star review (‘a gem on every page’) from BBC Music Magazine. Her appeal to a diverse readership was demonstrated by her appearance at the 2016 Edinburgh International Book Festival, which attracted a sell-out audience. Last year, The Scotsman gave her Queen’s Hall solo recital a five-star review: ‘She distils the essence of a piece of music into its purest form in the most profound and moving way.’ Susan is the artistic director and pianist of Winterplay, a mini-festival of chamber music at the Queen’s Hall in Edinburgh.